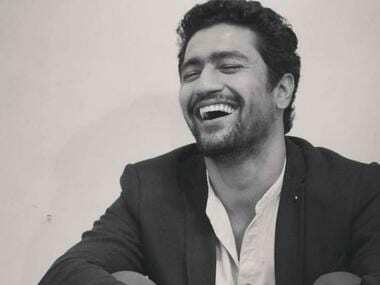 Shoojit Sircar’s biopic on revolutionary freedom fighter Udham Singh is set to cast Vicky Kaushal, who managed to replace Irrfan Khan in the lead role. According to the director, Irrfan Khan, who is still recovering from neuroendocrine tumour, wants to do films that are not physically strenuous and hence willingly opted out from the project. The currently untitled film will be produced by Ronnie Lahiri under the banner, Rising Sun Films. It is set to go on floors next month and is slated to be released next year. Here’s all you need to know about the much-anticipated biopic. Udham Singh, a revolutionary freedom fighter, famously or infamously assassinated the British administrator Michael O’Dwyer in 1940 to avenge the loss of Jallianwala Bagh massacre. He was born in undivided Punjab and was raised in an orphanage after he lost his parents early in life. The resentment and anger had reached its peak in Punjab following the massacre and had resulted in youth into anti-colonial resistance. While everyone knows Bhagat Singh, few know about Udham Singh. He was 20 and deeply scarred by the event. Not many people know that Singh lived five years in various cities, including Chicago and New York City. He travelled to Europe as Frank Brazil, (a pseudonym he gave himself). He survived working as a carpenter, railway line worker and labourer before he made his way back to Punjab in 1927. His involvement with armed resistance took its time. He opened fire at Michael O’Dwyer in Caxton Hall in London Dwyer, killing him on the spot in March 1940. He was hanged in July 1940 at Pentonville Prison. Udham Singh acted in two Hollywood films to sustain himself and also contribute his share to support the Ghadar Party (a party formed to uproot British rule from India). Singh worked as an extra in Elephant Boy (1937) and The Four Feathers (1939). It was a blink-and-miss role in both these movies that never released in India. The Punjabi film Sarfarosh: The Story of Shaheed Udham Singh released back in 1976. A year later in 1977 came Jallianwala Bagh, written by Gulzar and starred Parikshit Sahni as Singh. Years later in 2000, there was Shaheed Udham Singh, Alias Ram Mohammad Singh Azad, with the title role enacted by Raj Babbar. Shoojit Sircar revealed to Hindustan Times that this biopic project has been on his mind for a very long time and he has been looking forward to telling Singh’s story for years. “I have been waiting to tell the heroic tale of Shaheed Udham Singh for a very long time. It is a story very close to my heart. For it, I needed an actor who could give his heart and soul to the film, be with me and tell the story together. Vicky fits the bill perfectly. I have seen his work and the dedication he brings to it. I’m very happy he is on board this project,” Shoojit added. The film is expected to narrate the story of a legendary yet forgotten hero. Udham Singh led a fascinating life; a life worth knowing about. His reactions to the dastardly attacks and events in British India made him the legend he is today.